Bonn, 2 April 2019 - This year marks the 40th anniversary of the EU Birds Directive (Council Directive 79/409/EEC of 2 April 1979 on the conservation of wild birds), which has been a crucial cornerstone for the protection of birds within Europe and has acted as the basis for much of the environmental policy developed within the EU. Adopted on 2 April 1979 (and amended in 2009) it is – in fact, one of the oldest pieces of EU legislation on the environment. “The Birds Directive has paved the way for international collaboration. It was a very innovative legal text in 1979 with a strong scientific basis. In 40 years, an impressive network of protected areas was set up that benefit migratory birds,” says Jacques Trouvilliez, AEWA Executive Secretary. The directive emerged from EU countries wanting to work together to address a fundamental fact: birds fly and know no borders. The only way to properly protect species and their habitats is by working across borders – and often beyond those of the EU. The Birds Directive responded to the most serious threats to the conservation of wild birds such as illegal persecution, habitat loss and degradation. The Directive also initiated one of the largest networks of protected areas in the world, known as Special Protection Areas (SPA) dedicated to the protection and conservation of birds, and which has now been integrated into the Natura 2000 network. The same fundamental flyway principle behind the Birds Directive, ultimately led to the establishment of the African-Eurasian Migratory Waterbird Agreement (AEWA) in 1995 at the initiative of several EU countries, seeking an extension of the protection afforded by the Birds Directive to migratory waterbirds along the whole length of their flyways within the African-Eurasian region. Today most EU Member States are Parties to the Agreement, including the European Union, which has been a Party to AEWA since 2005. The Birds Directive serves as a strong model for domestic legislation and delivers on global biodiversity priorities, including AEWA. 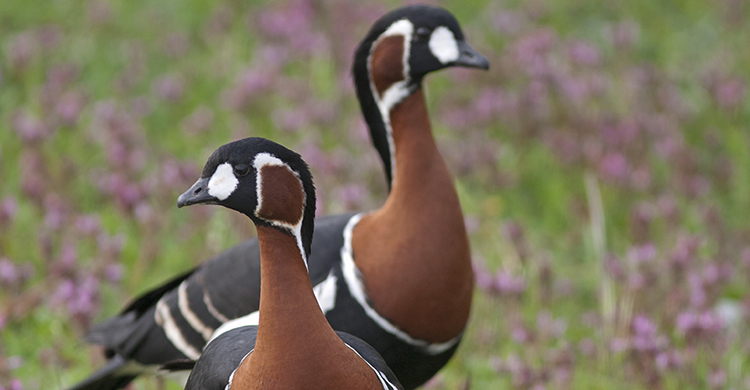 EU funding mechanisms linked to the Birds Directive, such as the LIFE programme, have been instrumental in improving the conservation status of many international priority species covered by AEWA such as the Lesser White-fronted Goose and Red-breasted Goose and tackling fundamental conservation challenges such as illegal killing - thus directly contributing to the implementation of AEWA.